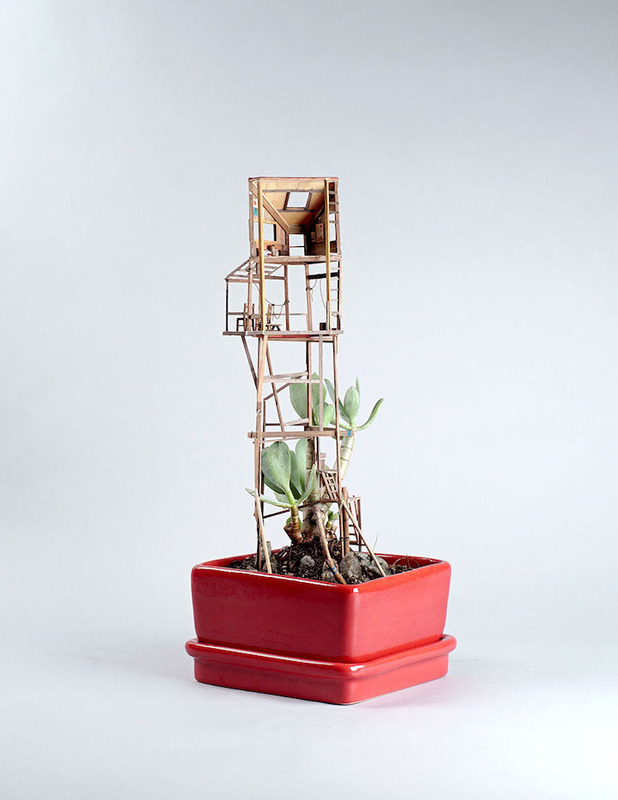 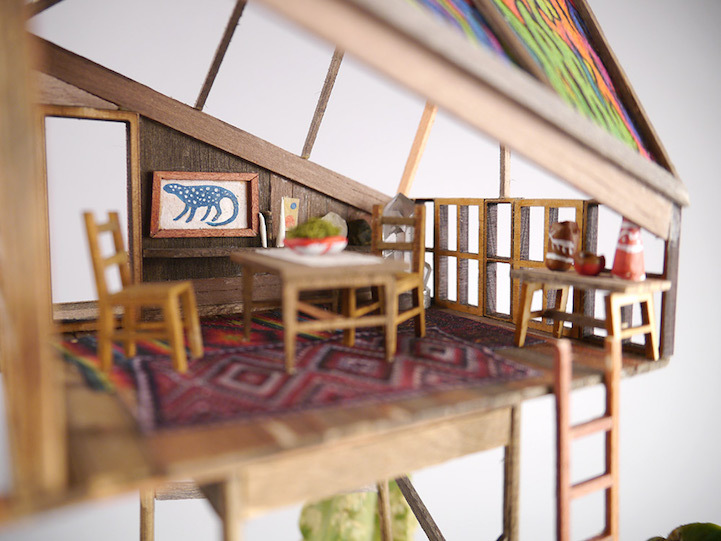 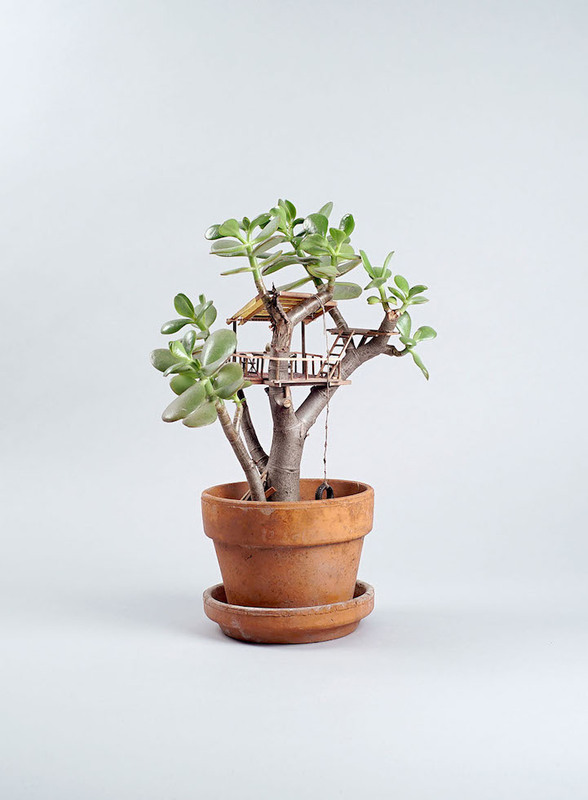 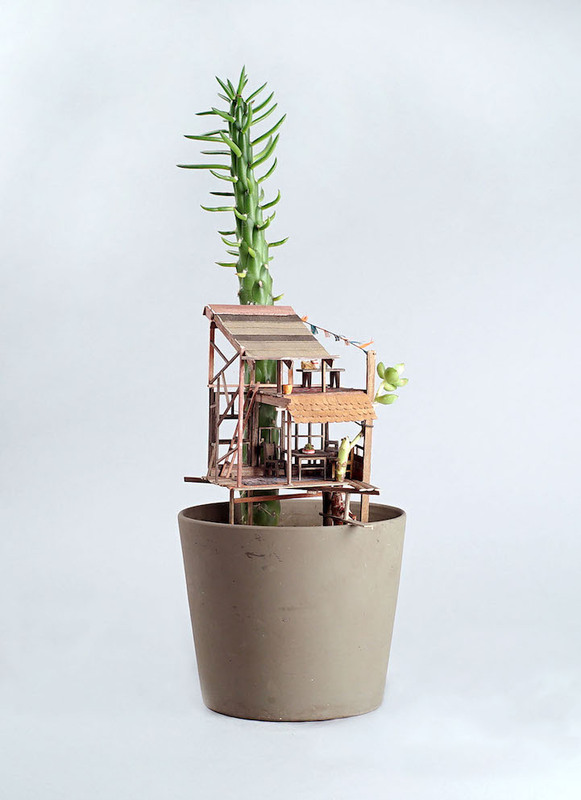 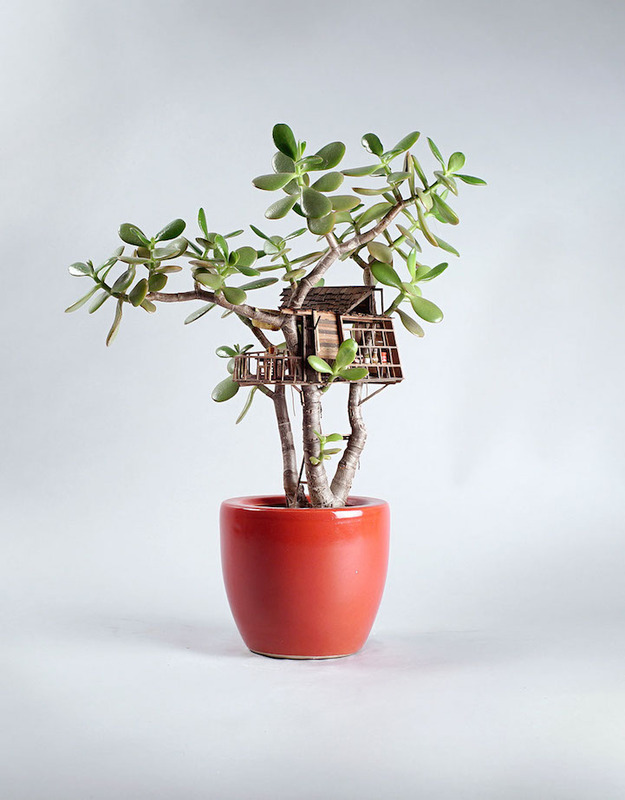 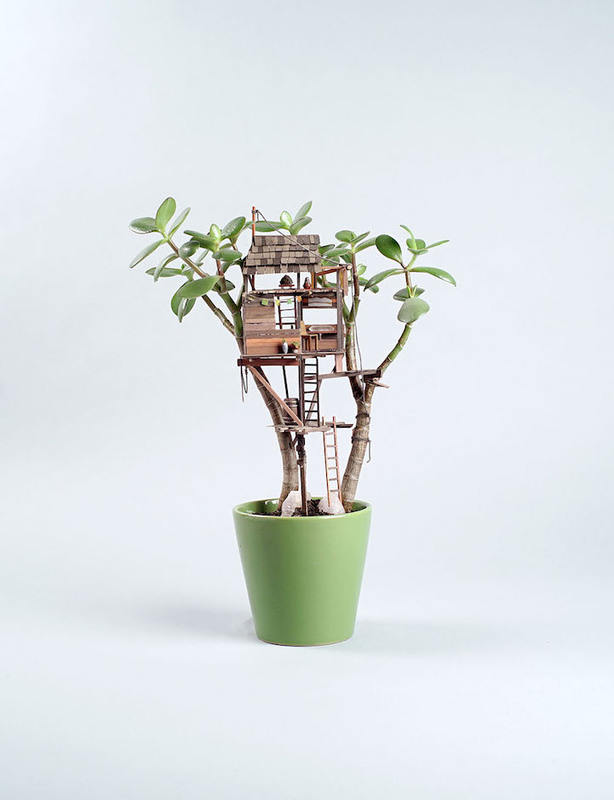 Artist Jedediah Corwyn Voltz constructs miniature treehouses wrapped around common houseplants or bonsai trees in his new sculptural series titled Somewhere Small. 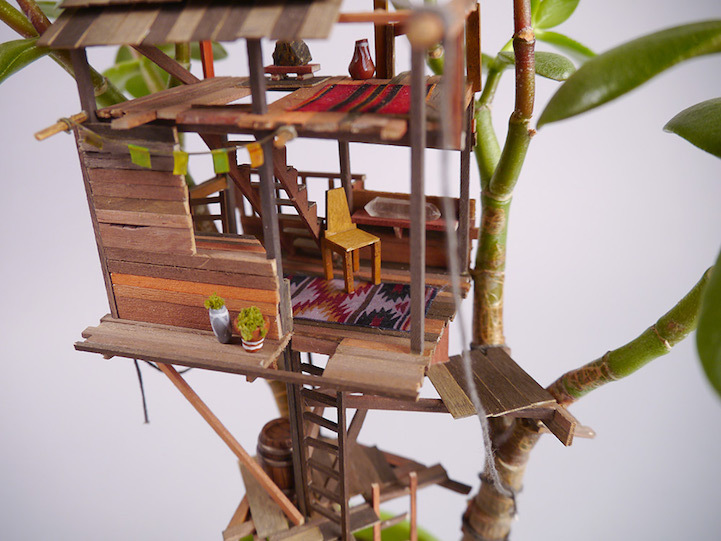 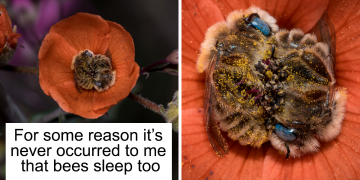 He relies on over a decade of commercial prop making for film and other projects to craft each structure from scratch using small bits of wood, silk fabric, miniature artworks, and semi precious stones that are hidden throughout. 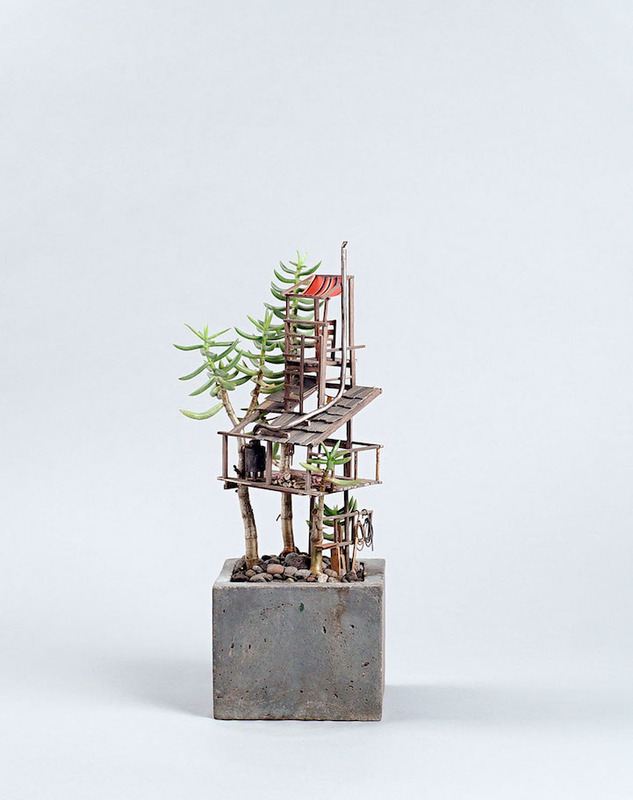 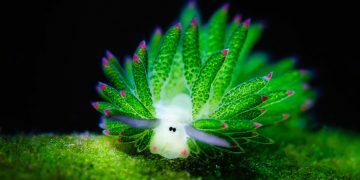 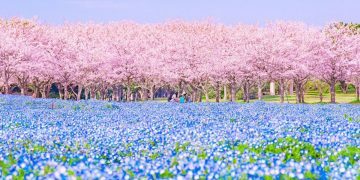 To-date he’s produced some 25 little habitats that resemble everything from tiny watchtowers in secluded forests, to large bustling windmills or water wheels.